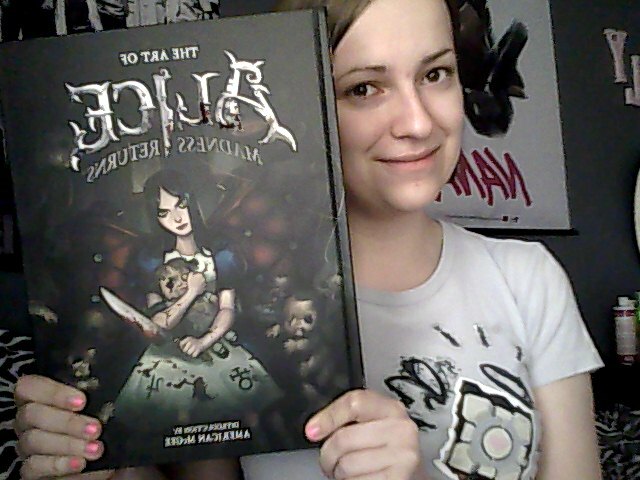 This is me and the artbook itself. 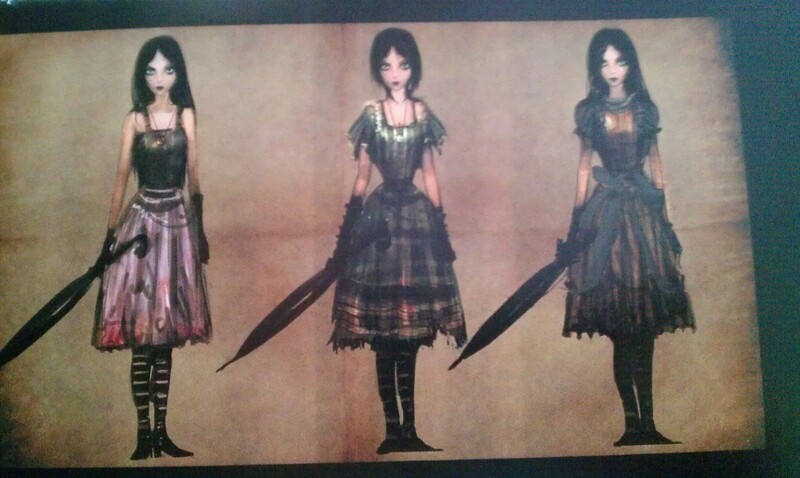 This shows early concepts for Alice’s outfit while in London, they were scraped because they seemed to be too adult like for her. 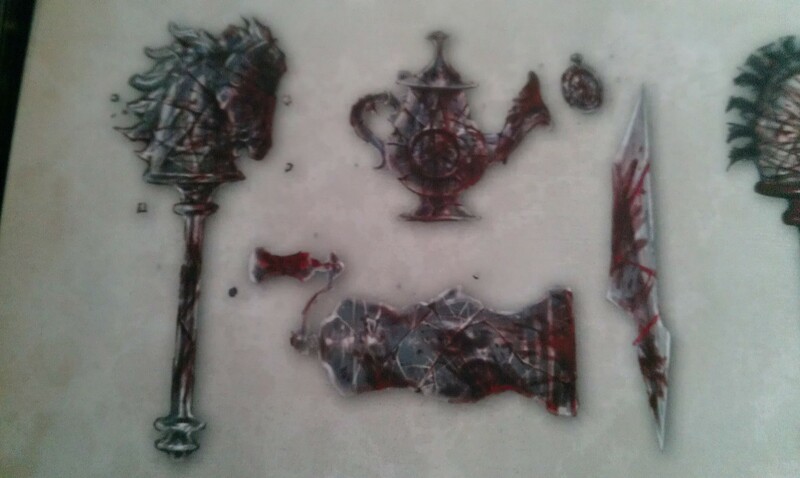 These three photos show concept art for weapon sets. 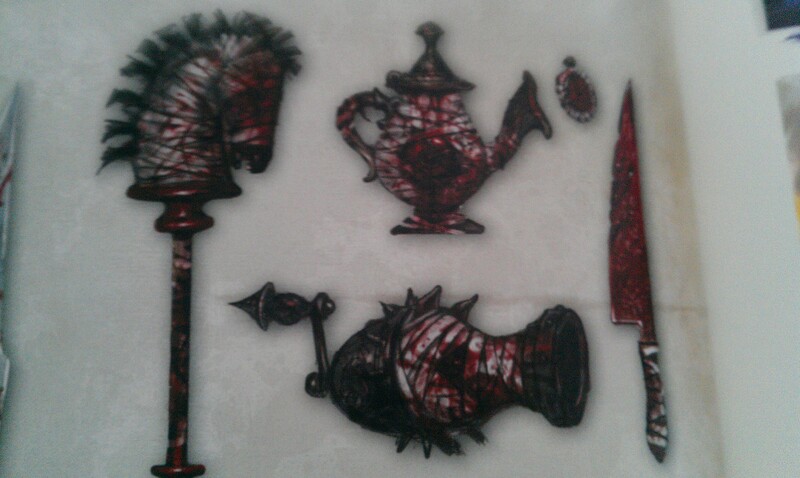 The first two are DLC weapon ideas that were scrapped and the last one is a concept for how Alice’s weapons would look while she is in hysteria mode. 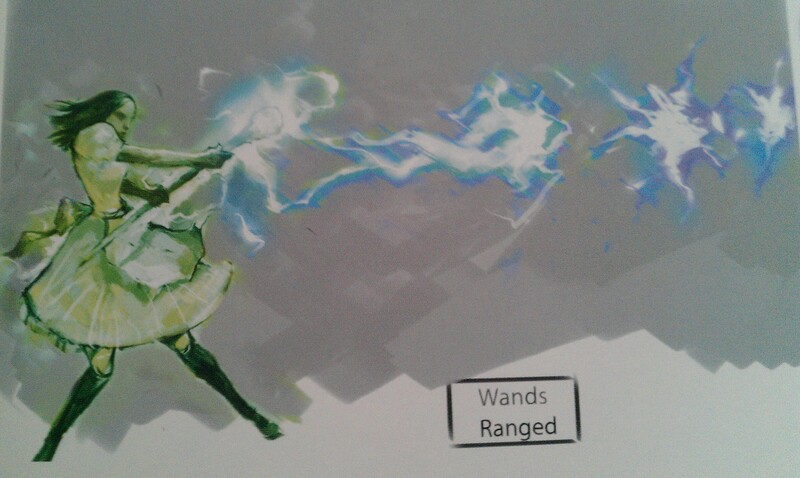 This is a concept for the wand weapon, it was used in the first game but not in the second. 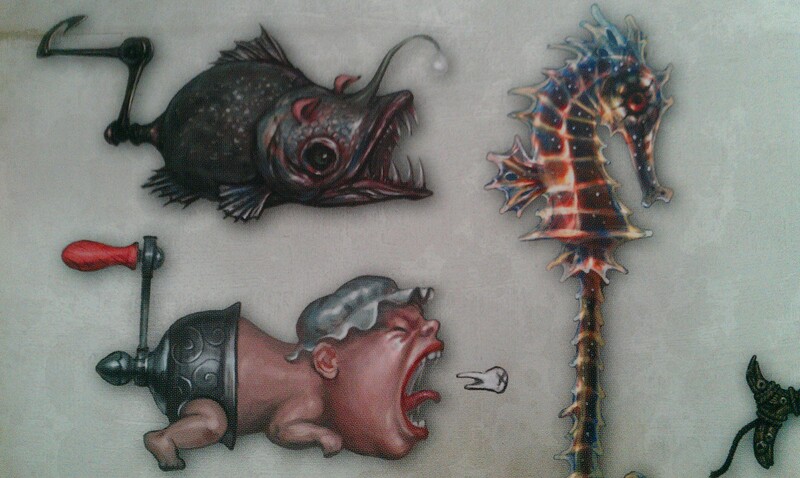 There were a few other pictures of weapons that they considered putting in this game from the first but didn’t. They are very cool. So that wraps it up for this post. This artbook is 184 pages long so don’t assume that since I only posted a couple of pictures that there is no reason to get it, it’s well worth it to go ahead and purchase the book for yourself.